I've been a member of Influenster for about 5 months now and I was very excited to receive my first VoxBox on behalf of Influenster and Broadway Nails. I'm not sure what I found the most exciting: being selected to receive a box, or not knowing what the box contained. I did know that it was nail related and that was all. 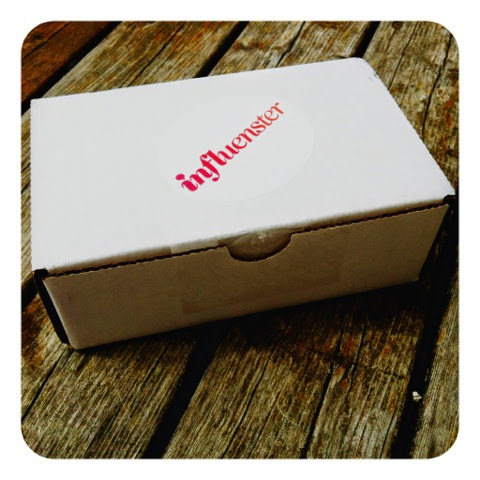 I think the VoxBox looks kind of cute, don't you? I nearly bubbled over with excitement pausing to take pictures and videos of the unvieling. 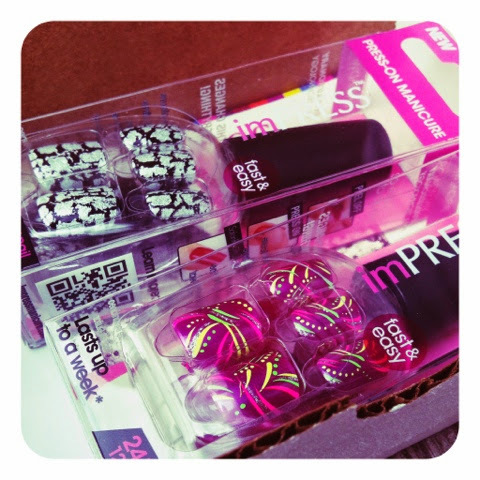 When I opened the box, I found two full sized press-on manicure kits from Broadway nails. The line is called ImPress. I was certainly impressed by the styles. Now, I've never been a big fan of pink. Although I must say that this pattern isn't bad at all. I love the colour accents. 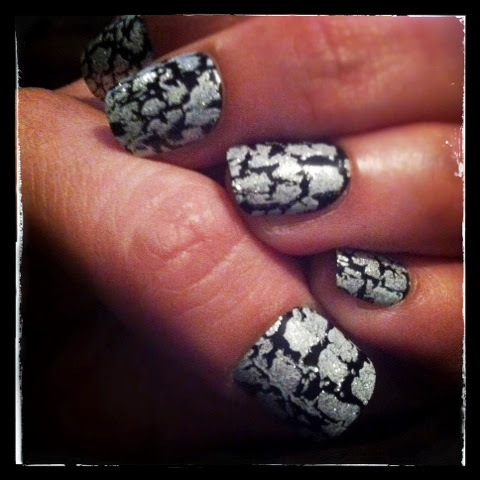 My favourite is the black and silver with glitter. They just look so classy. Every time I look at my nails I want to go put on a little black dress and hit the town. Application is easy. You clean your nails with the enclosed prep pad, lay out 10 proper sized nails in a row. Remove the backing from the press on nail, apply and press down. Super easy! The are very light weight. I adapted to them quite quickly and I don't even feel them now. You can also cut them if you are used to shorter nails. I am a guitar player and find it impossible to play with long nails. I was ecstatic to find out I could clip them with the nail clippers. The downside to doing so is that the adhesive sometimes balls up at the top throughout the day and I have to clean it up often. That is most likely my fault for not taking care of it well when I first cut them. I wish that they enclosed two prep pads so you don't have to use the same one during the second application. Otherwise, I'm completely happy with this product. Feel free to follow Broadway nails on Facebook, Twitter, Instagram, Pinterest and/or Youtube. Disclaimer: I received this product from Influenster and Broadway nails for free for the purpose of this review. 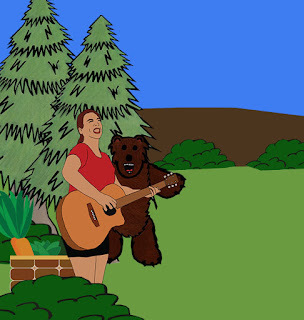 It does not effect my opinion of the product, which are based upon my personal experience. All opinions are my own. If you would like an invite to Influenster let me know, I have a few left.